Yep. It’s not a mistype. It really is “Pepperoni Chicken.” Chicken covered in pizza toppings. Sounds strange, but it sure would be tasty. After all, it is chicken and pizza at the same time. It turns out that putting pizza toppings on chicken is a great idea. 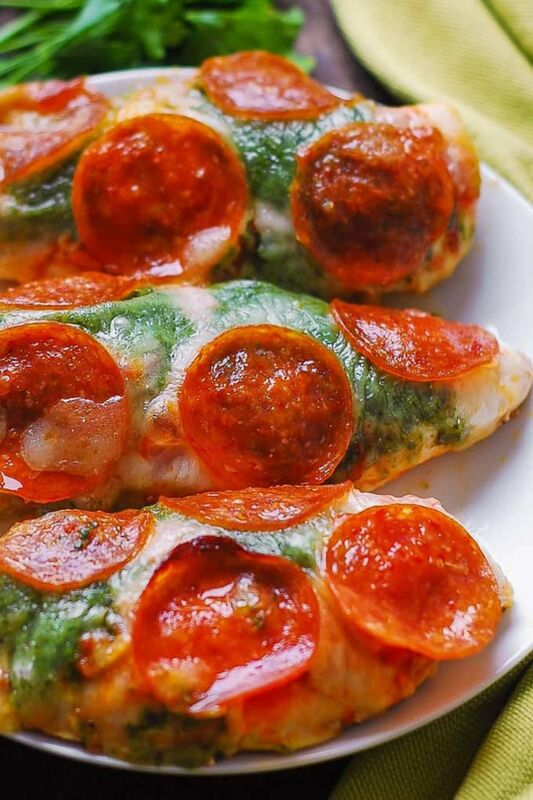 People have put cheese and pepperoni on top of all types of crust substitutes made from pea flour to cauliflower over the years, but this recipe gets rid of the idea of a “crust” entirely to combine the pizza flavors people love in an easy, low-carb, gluten-free, keto-friendly weeknight dinner that cooks in about half an hour. Yum! Tasty and healthy at the same time! What more can you say? Want to know how to make one? Find out how on The Kitchn!